Listen to an exclusive audio interview with photographer Liz Dungate. She has been contributing to OPALUS since the second issue and we are proud that she has brought us 2 OPALUS covers, from issue 7 and issue 11! Hear her and OPALUS Creative Director/Editor Malorie Shmyr chat about the inspiration, process and challenges she faced during the creation of the work she has contributed to OPALUS. She even discusses her work with model Tyg, a model who has now become Marc Jacobs muse, before she got famous! 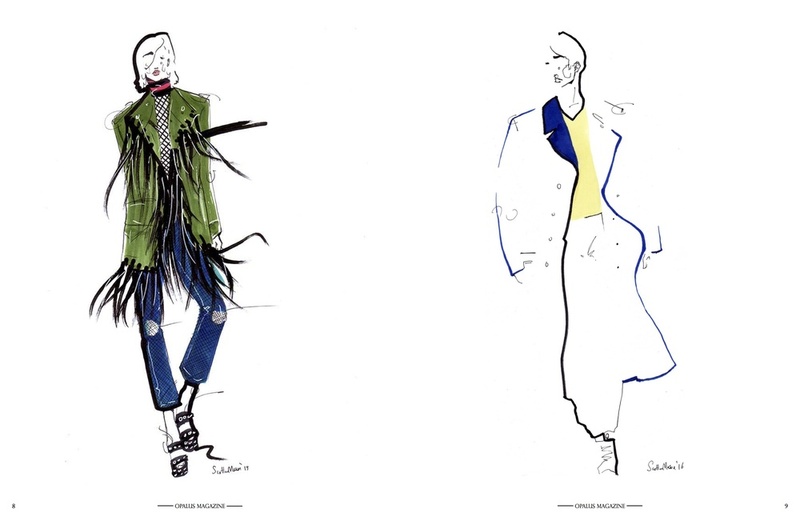 London based fashion illustrator, Scott W Mason, is officially our new favourite fashion illustrator. All the way from London, his use of negative space is truly unique. Check out a selection of his work on our website in the "fine art" section! 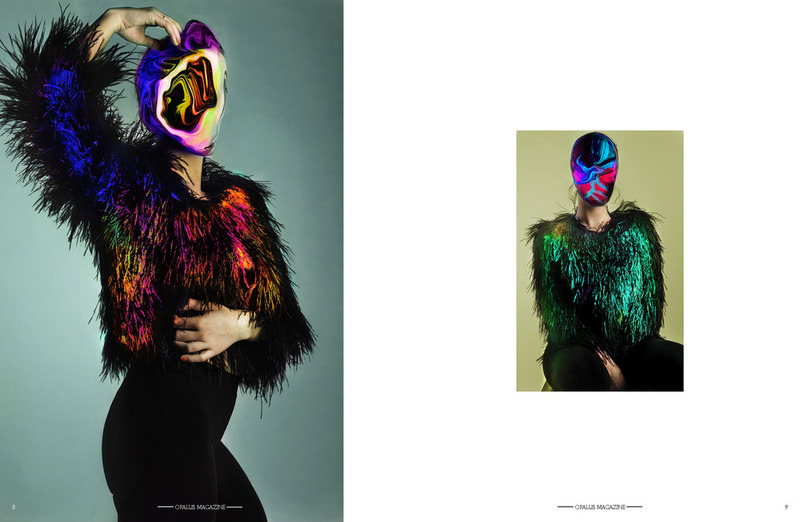 Russian photographer Yura Taralov, with Model Knesia Lozhnikova, creates some colorful imagery that was featured in the January 2015 issue of OPALUS and now on our website! Fashion Isn't Art? PUNK THAT! OPALUS Magazine presents a brand new campaign that can be affectionately described as "retroccentric", found in our latest issue, which features the punk band "Satan's Furnace" – aka Dr.Chronix, Mr. Stumblepissed and Oi! Lee Bean. Utilizing DIY stencils, stitching and spray paint for the clothing and masks, the overall look accentuates individuality while creating an underlying unity. The "Subway to Hell" background is a tribute to underground street art circa the late 70s, designed by Malorie Shmyr. So yes, any fashion is art. You better punking believe it! Check out the full spread from this campaign! Canadian photographer Liz Dungate, known for creating elegant and beautifully feminine imagery, inspires us, yet again, with her latest series entitled "Clinical Trials in Fashion Coordination". We hope you enjoy this series as much as we do! Enjoy this series in our Editorial section! Creative Director, Malorie Shmyr, illustrated her top 4 favourite looks that strutted down the runway during the 10th year anniversary of Western Canada Fashion Week! LUXX Ready to Wear blew us away with the Aboriginal POP collection! It was filled with wit, creativity and represented a woman who is strong, confident and elegant! We love the color palette and the unexpected combination of materials and patterns used. 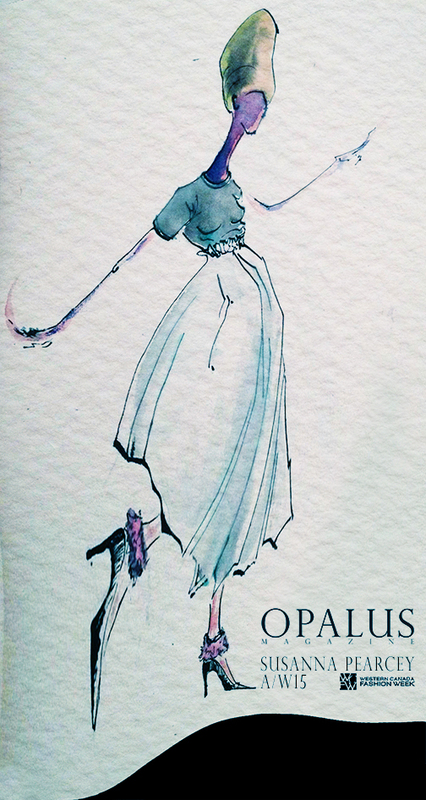 Below is our favourite look by LUXX Ready to Wear interpreted through illustration! Susanna Pearcy presented a collection that was genuine, cute and we are certain anyone would feel comfortable and unique in any of these pieces. 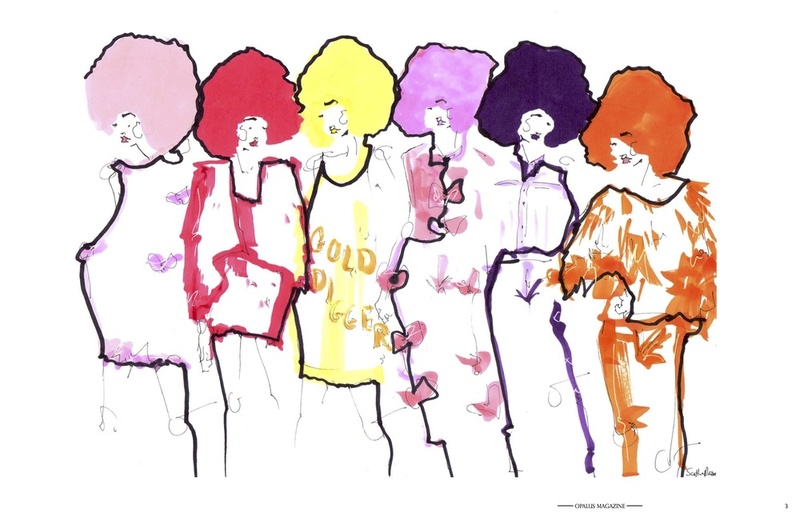 Below is our favourite look by Sussanna Pearcy interpreted through illustration! We loved the collection presented by Nimmaré because it felt soft, cohesive and oh so romantic! Each piece floated down the runway with elegance and grace. Below is our favourite look by Nimmaré interpreted through illustration! Marie Saint Pierre presented an collection that was structured, edgy and embodied a powerful woman who is not afraid to show it! The unique silhouettes were unexpected and so inspiring! We'd like one of every look please! Below is our favourite look by Marie Saint Pierre interpreted through illustration! Thank you London fashion week for the incredible inspiration. Here we go Milan Fashion Week! Watch it LIVE here, we know we are!